Through our years of experience, the professionals at EzCare Medical Clinic have seen the positive effect an Emotional Support Animal Letter can have on those with emotional or mental disorders. As crucial parts of their therapy, these pets should be able to accompany their owners on planes and live with them in housing even when no pets are usually allowed. That’s where ESA letters come in. When patients designate their pets as emotional support animals, they can live and travel with them for no additional fees. Getting an ESA letter is not a complicated process if you simply follow the guidelines. However, there are plenty of scam sites out there that try to trick those who need ESA letters and provide invalid certificates or letters or claim to ‘register’ their pets. One such service is waggy.pet. Here is what we found out about this scam website. Waggy.pet is an online service that claims to offer Emotional Support Animal letters as well as combination packages. Their packages are priced at $90 for three-day delivery and $110 for same-day delivery. These prices are the first sign of a scam as they are low. We charge $199 for our letters because of the time our licensed physicians and mental health professionals take to interview patients and ensure they are providing a valid ESA letter. Waggy.pet is not an obvious scam and it takes a little digging to identify the red flags. While the lower cost is the first sign, it does not in and of itself reveal the site as inauthentic. We next looked at the physical location that is listed on the bottom of the site. Under the terms and conditions, there is no company name or address and the address on the site cannot be verified. This is another red flag that this is not a legit business. We also tried calling the phone number listed on the site multiple times and never received an answer. 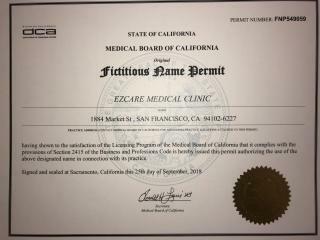 A legitimate business offering online ESA letters must have a physical location where their physicians and therapists work out of. We make this easy to find on our website and it’s listed under our terms. We also have a phone number clearly designated on our site and we have customer service professionals answering it seven days a week from 11 am to 7 pm. 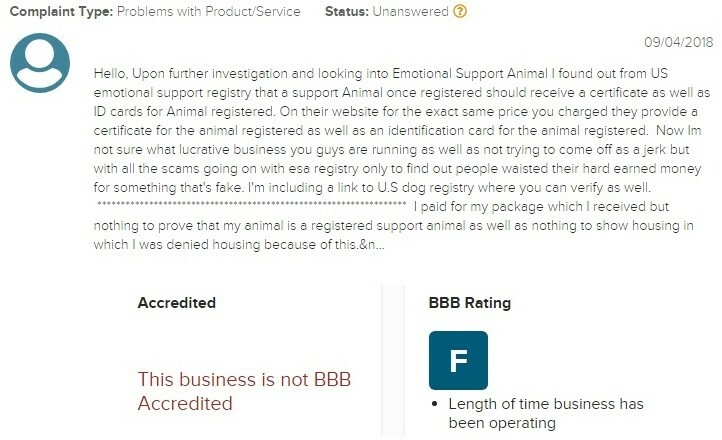 Waggy.pet does not utilize the fraudulent term ‘ESA registration’ and has a phone number and address on their website, which makes it more difficult to discover they are a scam site. However, we did the extra digging needed to identify this scam so that you do not get stuck with an ESA letter that is not valid and wastes your precious time and money. When you work with EzCare Clinic, you will know you’re working with a legitimate service that takes the time to interview you and qualify you for a valid Emotional Support Animal letter. We even guarantee the letter so you can have peace of mind that your beloved pet can live and travel with you. I paid for letters and kit. Rrceived letters. Was very happy with airline travel letter BUT very unhappy that there is no general letter that states that Leila can go anywhere with me. Like restaurants, theatres, etc. I really need her with me everywhere I go and people are more and more asking to see her papers. Can you provide such a letter for me? I am willing to pay extra. Thank you. I believe I used my old email (gattocullivan@gmail.com) to register her. Please use my new email list ed below. Unfortunately, what you are requesting is more in the realm of a service animal and not an emotional support animal letter. In order for your pet to be able to accompany they require special training. We apologize for that inconvenience. You are requesting a service dog and that don’t come with registration. You have to be disabled and get a letter from your treating doctor. Not some scam website. I think this place might as well be a scam. I paid for the letter and the airline didn’t let me on the plane with my dog. When I requested a refund from Waggy since the letter didn’t work, they said – We have written 10,000 of successful letters, let us know if you need anything else. Thanks Waggy, so helpful…… I would highly recommend not using this service! I have also had endless issues accessing their website… I can’t access anything.